She has an energetic, hard working and happy bunch of people working for her. I wish her luck in whatever she does. It is comforting to have good people behind you during the preparation of an action sequence or a high end stunt. On the several occasions I have worked with Giulia we have been presented with difficult schedules. I have found Giulia truly excels in this environment. With exceptional patience, a calm and rational approach to both planning ahead and impromptu problem solving, she is truly a friendly and welcome asset to any production. Whilst Giulia is blessed with great vision and energy, she also has the wisdom, grace and charm to deliver in a collaborative, engaging and positive way. In production terms she adds value – everywhere. 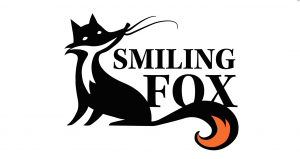 Smiling Fox is a production company with a strong international vocation, born on the merging experiences of Scrix Srl, active in Italy from 2004 until 2013 and Smiling Fox Productions Ltd in the UK from 2013 at present. More than 10 years of productions supporting marketing and advertising, guarantee to its clients a high professional skills and an excellent capacity of delivery in time and in budget. Smiling Fox speaks English, Italian and Spanish and it’s integrated in the British multicultural production activity. Thanks to the variegated experiences of its team, Smiling Fox can support his clients in every aspect of the project: from creativity to budget and schedule, from the script or storyboard to the research of the best location, the shooting and the post production. Over the years we have worked with distinguished brands like McDonalds, CocaCola, Samsung and Disney Channel obtaining awards as Golden and Silver Promax and Key Award. Recently we line produced a web campaign for Beck’s and for Gas Jeans, for the launch of Green Network energy in the UK and for the launch of Lycaremit for Lycamobile; few episodes of a TV series produced by Rai “Baciato dal sole” shot in London and Kent; the movie “The Trip to Italy” directed by Michael Winterbottom , “One Nenokkadine”, an action movie shot in Belfast and London and the Hong Kong movie “To the Fore” directed by Dante Lam. 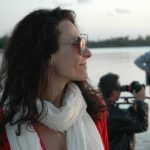 Line producer with over 20 years in the business across film, TV, advertising and events. International connections to offer an excellent production service. Extensive experience of scheduling, budgeting. Fluent in Italian, English and Spanish.